In the wild, many small pets are not just vegetarian. Now and again they need to supplement their diet of seeds, grains, greens and vegetables with a little animal protein. Shellfish and insects make an ideal supplement that is popular with small mammals like hamsters, mice and rats. Small shellfish and insects like the ones in this mix are easy for little pets to hold and are also low-fat, with high-quality, easily digested protein. The mix is packaged in a resealable pot, so that you can take out only the amount you need and the food will still stay fresh. 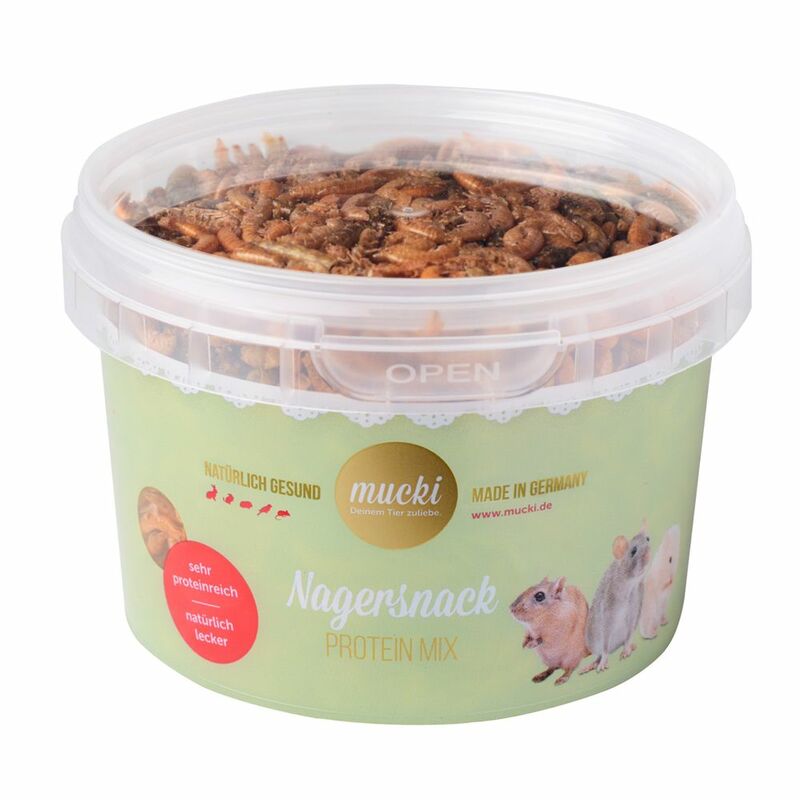 The Mucki Protein-Mix is a supplementary food for hamsters, mice and other small pets and contains tasty freshwater shrimps, gammarus, crickets and mealworms. It makes a healthy and delicious snack, that guarantees a balanced diet for your pet.